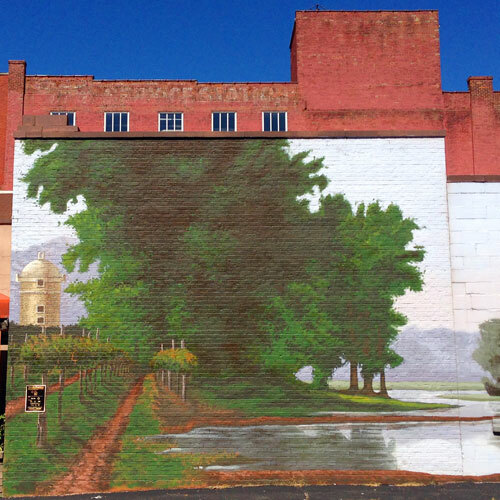 Located at 908 Race St. in downtown Cincinnati, this was ArtWorks‘ first landscape mural, painted by Tim Parsley and a team of teen apprentices and depicting scenic wine country on the side of what used to be a fantastic wine shop. 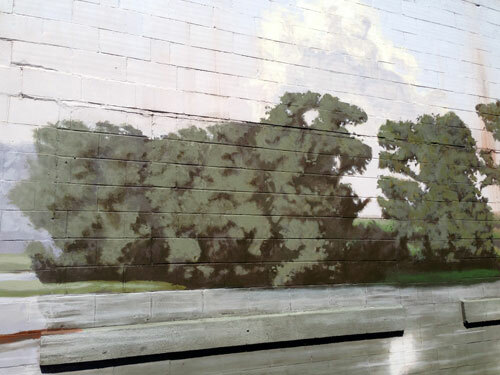 The mural overlooks a surface parking lot, and currently the shop is vacant. It’s inspired by the landscapes of Godfrey Frankenstein but, to me, there’s not much there there, if you know what I mean. The scene is bucolic but doesn’t have much of a point of focus. 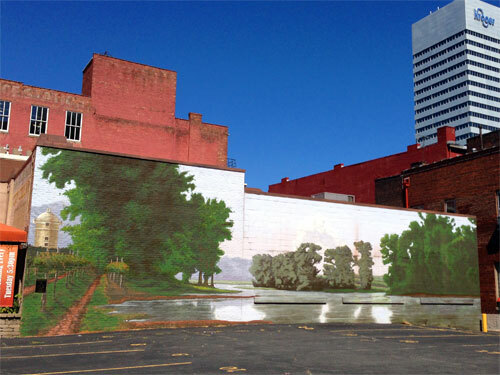 Tim Parsley has worked on several other Cincinnati-area ArtWorks murals, including Martha, the Last Passenger Pigeon by John A. Ruthven, The Golden Muse and The Face of the Arts.